Last week, we took an in-depth look at the health of our relationships. We discovered good and bad traits that form in our friendships and how we can create healthier ones. I felt that I learned much about how I can improve my relationships with others. How about you? Friendship began from the moment that God formed Adam and Eve. Not only did Adam and Eve form a bond between themselves, but they also formed a friendship between themselves and God. Adam knew when God was walking in the garden. I know my friends well enough that I recognize their walk from afar and I know the sound of their voice over the phone. I think Adam knew God like that and a friendship existed between himself, Eve, and God. What a glorious picture! Can you imagine being God’s friend? Jesus calls us his friends in John 15:13-15. Our lesson for Day 1 was a general overview. We contemplated how friendships are formed, the challenging aspects of building new relationships, and the type of companionship that we seek in our friends. Our biblical example of friendship was the relationship between Naomi and her daughter-in-law, Ruth. As we looked at our friendships, we questioned ourselves about holding people at arm’s length. We were asked how that action stops us short of the incredible gift of friendship God has for us. On Day 2, our biblical example of friendship was between Paul and Timothy. We learned how Paul encouraged Timothy to grow in his spiritual walk. Through their example, we too can adopt practices that will develop vibrant healthy relationships. Relationships that challenge us to walk in ways that are pleasing to God and that reflect Him to everyone that we encounter. Reflecting on Matthew 18:21-35, what situation with a friend has been the most challenging to forgive? How does focusing on how much God has forgiven me strengthen my resolve to forgive others? Who in my life do I need to ask forgiveness from right now? On Day 4, we learned about what Margaret Feinberg likes to call the TDC — The Difficult Conversation. She gave us 9 Tips to help us handle and resolve conflict in our relationships. Our memory verse for this week also provided insight regarding how we should approach our friend and the tone we are to take when having that difficult conversation. We concluded the week’s lessons on Day 5 delving into how our friends strengthen our faith because of their presence. Our biblical example was the story of Shadrach, Meshach, and Abednego and the fiery furnace found in Daniel 3:1-30. Good friends should challenge us in our faith journey to grow and develop more of the character of Christ in our lives. We were encouraged to recognize and articulate the lessons in Christlikeness that our friends have taught us by using the fruit of the Spirit as a guide. 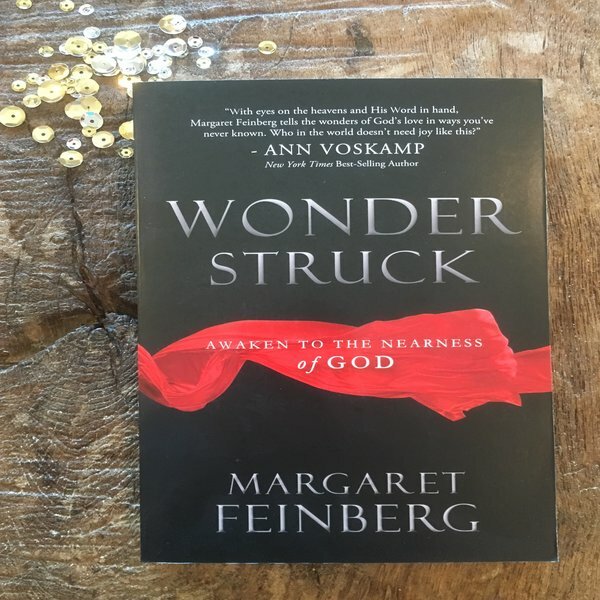 One area that Margaret Feinberg didn’t address was the wonder of online friendships. I want to take this opportunity to give you a shout out of thanks for your online support and friendship. I really appreciate it and I’m humbled by it. I, also, want you to know that I pray for you. Every time that I write a post, you’re on my mind. I hope to be worthy of the trust that you’ve placed in me by supporting and following this blog to be faithful to the Lord Jesus Christ in all that I do. Thank you, friend. Today marks the beginning of our final week of Wonderstruck. Press on toward the end. You can make it! I think we have a blessing in store for us this week as we look at the Wonder of Forgiveness.